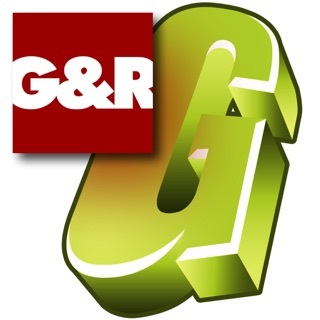 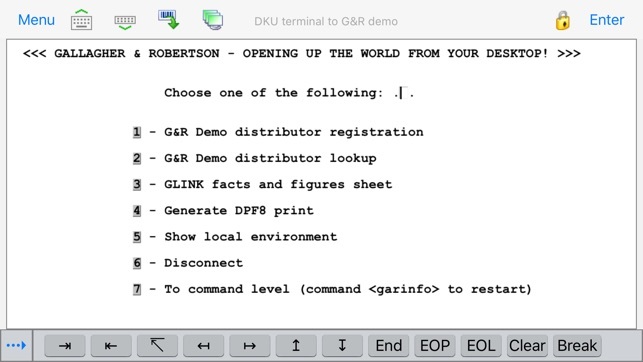 Glink for iPad/iPhone/iPod touch is an iOS-version of Gallagher & Robertson's best-selling terminal emulation program, Glink Professional Edition for Microsoft Windows. 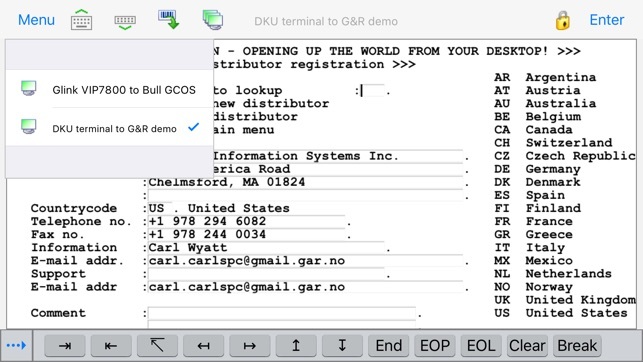 Glink is used to access applications running on Bull, IBM, DEC, UNIX and Linux host systems. 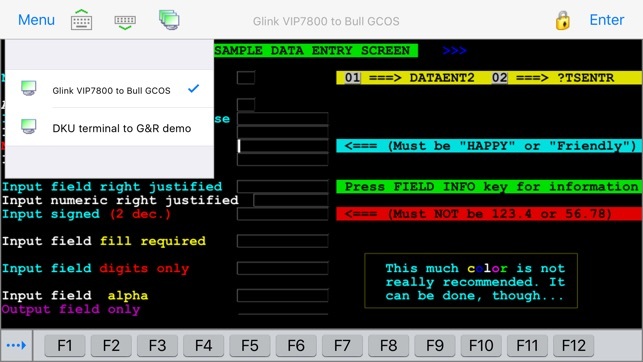 Glink has emulations for the IBM 3270 and 5250 terminals, Bull Questar DKU7102, DKU7107 and DKU7211 terminals, Bull VIP7800, VIP7760 and VIP7700 terminals, and DEC VT420, VT320/340, VT220 and VT102 terminals. ANSI 3.64 is supported for general communications work. 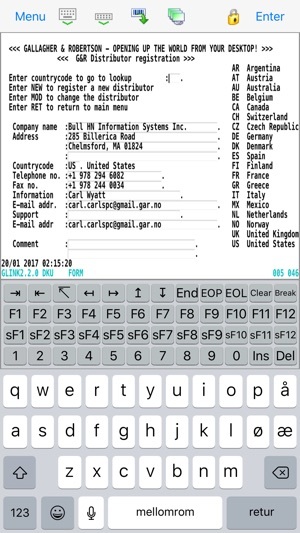 - SSH for direct communication with the SSH Daemon.